The Avengers Ironman, Captain America, Black Widow, The Hulk and Ultron are at Causeway Bay Hysan Place! 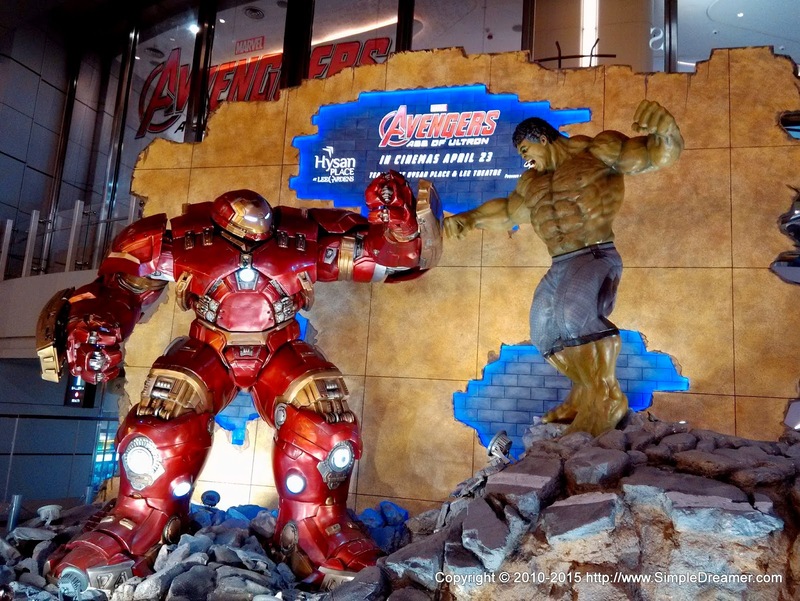 These life sized figures are part of the world-wide promotion of the newly released movie Avengers 2 Age of Ultron. The most eye catching piece feature Ironman's huge Hulkbuster fighting with The Hulk. Their battle is taking place right in front of one of three Apple Stores in Hong Kong - The Causeway Bay Apple Store. The centre piece is the Avengers team standing on a sci-fi platform, with Ultron at the top of a higher platform.